Sweet Chili Wild Mahi Mahi, Our New Weekly Special Begins Today! New Weekly Specials Start Every Wednesday. 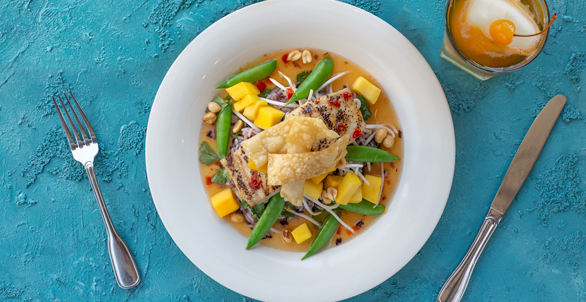 Sesame grilled Pacific Mahi with sweet chili sauce, mango, roasted peanuts, bean sprouts, snap peas, black rice pilaf and crispy wontons. See our Weekly Specials page for this and our upcoming specials.